13FOREST Gallery presents Vicinity, an exhibition featuring Stacey Durand, Bonita LeFlore and Karla Quattrocchi. Walking through urban or rural neighborhoods, we can easily disregard man-made aspects of our surroundings; power lines, street signs, and neglected buildings can seem like eyesores. However in Vicinity, Durand, LeFlore and Quattrocchi choose to accentuate these features, highlighting the intricate and fascinating compositions that populate the world we move through, and re-framing our everyday landscape. 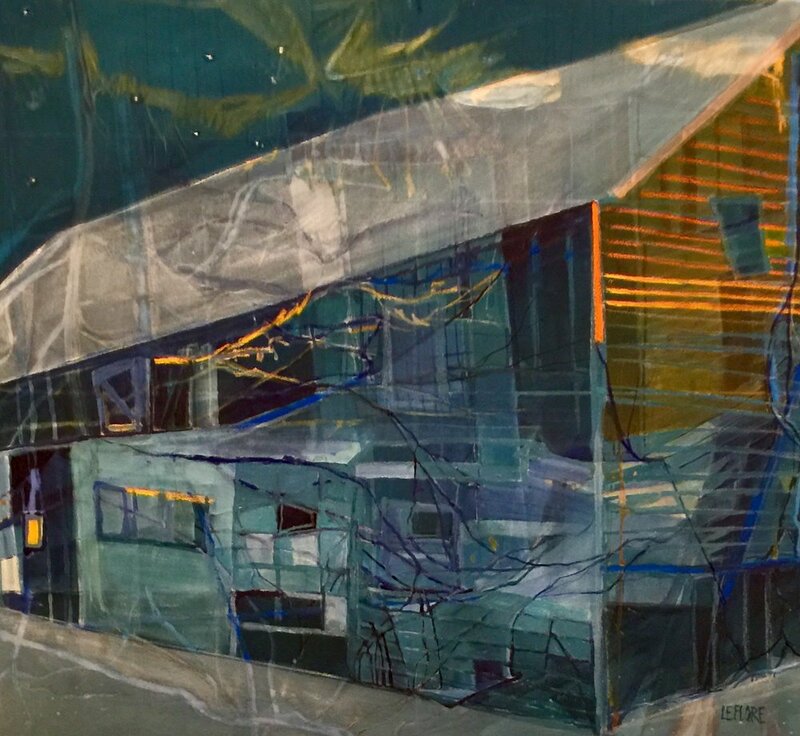 Through abstraction, collage and imaginative paint application, the artists of Vicinity reinvigorate the built environment and imbue it with a sense of beauty and meaning. Drawn to the crowded, quirky arrangements of New England towns, Stacey Durand paints on top of collaged photographs of local scenery to create imagined neighborhoods that are simultaneously recognizable and unusual. Her abstract approach offers a new perspective that honors the unique character of coastal communities. Bonita LeFlore has an eye for structures that have been well-used and overexposed to the elements. With bright color and thin layers of paint on unprimed canvas, LeFlore’s translucent work celebrates imperfection to document the history and impermanence in our surroundings. 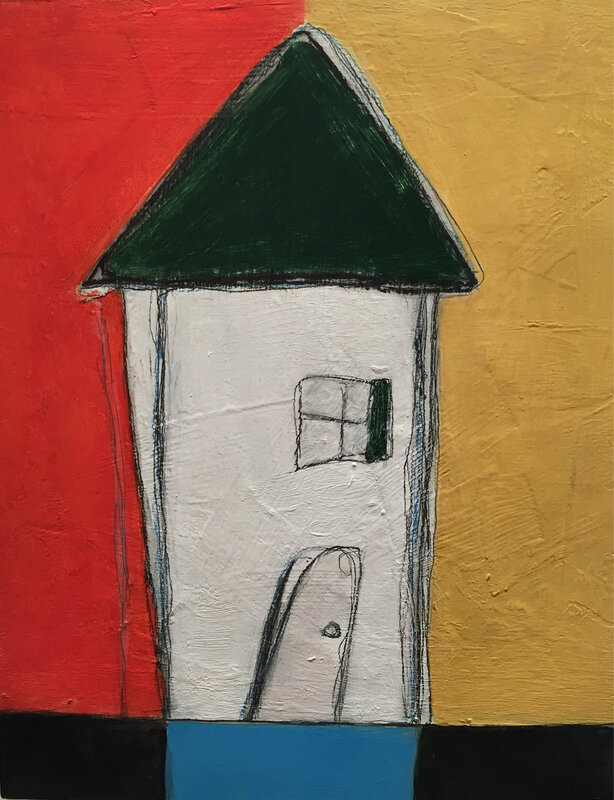 Working purely from imagination, Karla Quattrocchi renders charming houses with bright blocks of color and collaged elements such as paper, fabric and tar. Her structures evoke simple building sketches that most of us have drawn in our lives, and are intentionally askew. These inconsistencies invite us to decipher the intention and meaning of spaces we occupy. 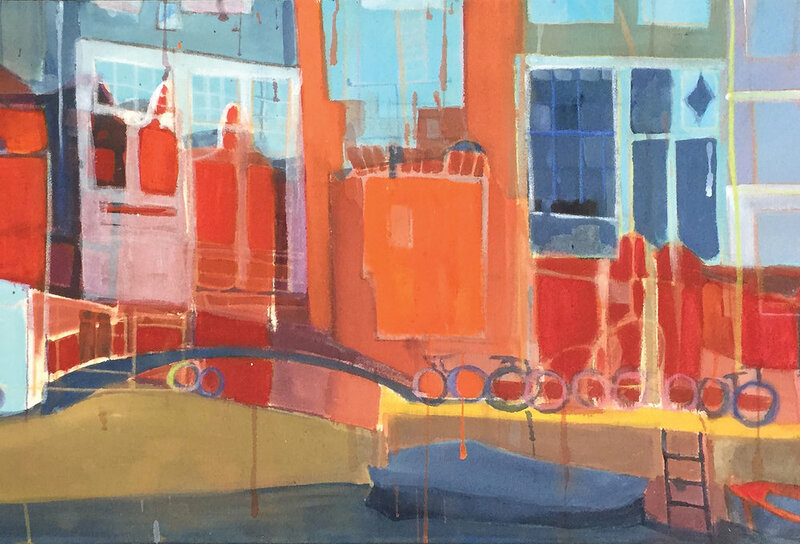 While it can sometimes be difficult to see the beauty in the house next door or the corner shop, the artists of Vicinity bring the eccentric details of local architecture to life through color, abstraction and collage. Through their eyes, we can appreciate the character that makes our neighborhoods feel like home. Stacey Durand studied printmaking and art education at Montserrat College of Art. She received her Bachelor of Fine Arts in printmaking in 2002 and completed the art education program in the winter of 2003. In 2008 she received her Masters of Art in Teaching Art from Salem State College. After living on the North Shore for nearly ten years, Durand returned home to New Hampshire, settling in the Seacoast area where she currently lives and works. Durand has shown her paintings and collages in a number of galleries throughout New England and her work is in private collections throughout the country. 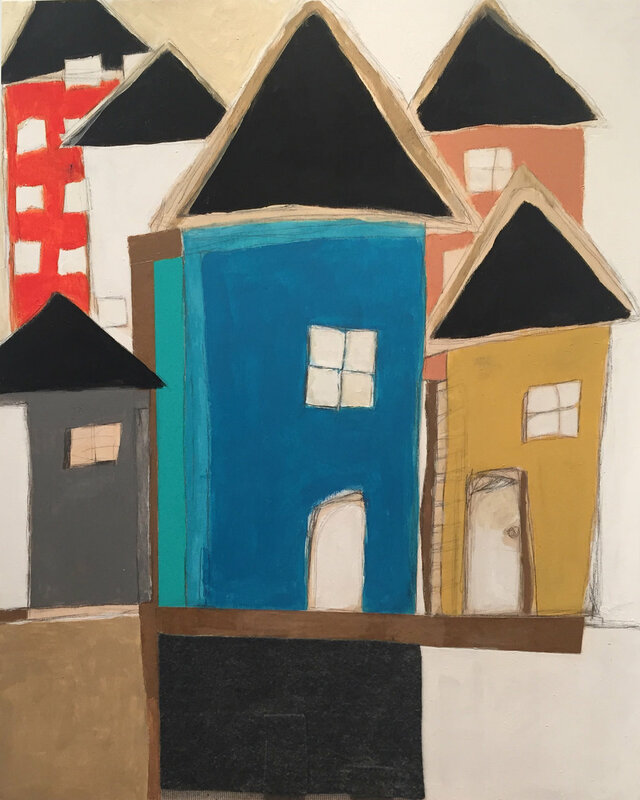 Bonita LeFlore is a New England artist best known for her large paintings referencing the architecture of forgotten places. She studied at the Art Students League in New York, graduated from Syracuse University with a Bachelor of Fine Arts in painting, and attended Pratt Institute’s Masters program for painting. Her work is in many private collections across the United States and internationally. Influenced by the color field paintings of Helen Frankenthaler and the vivid palette of Joan Mitchell, LeFlore finds working with acrylic paint on unprimed canvas a medium that lends itself to a transparency that gives her subject matter life.